Summer is our time to kick back, enjoy some time for family and vacations, and relax. In our 24/7 world, this is hard. We are tethered to our work with our technology. There are good reasons to take a break. NASA researchers recently found that vacationers experienced an 82% increase in job performance post-trip. Performance expert Tony Schwartz says, in addition to being rejuvenating, relaxing helps your brain take in new information more easily and enhances your creativity. Summer gives us the opportunity to deeply connect to our family in a less structured environment. With more time to talk and be together, relationships take on new meaning. We all do our best when we have the opportunity to rejuvenate and reconnect. It’s a choice to answer the phone, check your email, and step away from the computer. Head out with your head in the holiday game! Look forward to the time you are resting, relaxing, being adventurous and being away from every day. Set yourself up for success by leaving processes in place for those around you in the office with procedures to follow. If you are the type that can’t leave home without it being spotless, give yourself time to get your home ready. Get the laundry done, your mail sorted and your home in tip top shape the week before. Clear your plate as much as you can at home and work. Take a day during the middle of the week to take off. Plan a “field trip” for yourself to a local museum, Farmer’s Market, or destination you have wanted to visit, but never have the time. Plan a day camp for your kids at a local community college or YMCA, then head home and sit in the quiet. Read a book or magazines you have been waiting to read for a while. Set a boundary to check your email only in the morning on Saturday. Spend the day doing and connecting with your family or on your own. Set aside a day to play cards, board games or family charades. Go fishing with your kids for a day at a lake or in Galveston. Establish screen time boundaries for daily living in your home, such as technology at dinner. Unplug for a week: a big leap! Take your cell phone for just emergency, but take off from your email, leaving behind an auto-responder directing people to connect with those at work who can assist them. Take a stay-cation at home for a week, just to enjoy area destinations you and your family have not visited. No packing required, but staying on the vacation mindset is. Connect with your family and establish tech-free times. Play games, go to the pool, and ride bikes as ways to connect without your technology. Take a vacation and plan your day’s activities. Use the internet for coupons and sightseeing, but not for email. Leave all the technology at the hotel, safely stored. Give yourself an extra day to get back into the groove at home and work. Return home early or take Monday off to get this extra time. No meetings or appointments on this day! If your laundry is overwhelming, take it to the Laundromat for the “fluff and fold” treatment. Be brutal about paper and mail and cull only what must be kept and acted on. Break away from being overwhelmed by making a list and prioritizing what needs to be done. In the end, it is all about taking the opportunity for intentional and mindful technology use. Truly we feel our best and do our best work because of relationships and renewal! You will be very glad you did! Summer is that lazy, hazy time, when we really like to kick back! But this is a great time to get going with your family fun, something that may have been sidetracked during the school year. Family fun can be simple, 50s style, easy activities. However, it takes making a plan to have this happen! Gather your family together to brain storm what is most important to each person. Family members need to each have one special activity for the summer. Get out your calendar and write these in. Otherwise, summer will be over before you know it. Not only are you modeling great time management skills, you are making great summer family memories too! Stumped on ideas for fun? Here we go! All of these affordable ways to have fun take just a few minutes of preparation, but you will be thrilled you did! Great websites for summer fun! https://professional-organizer.com/WordPress/wp-content/uploads/2016/07/logo.png 0 0 Ellen https://professional-organizer.com/WordPress/wp-content/uploads/2016/07/logo.png Ellen2011-06-19 10:44:522011-06-27 06:44:37Got Summer? Get Going! Getting organized for your upcoming travels is the best way to ensure happy holidays! Keeping all your documents, coupons, and papers together is important, especially when away from home. Keep these papers together for your upcoming trip. In addition, you may need these personal items. Using the Smead Travel Organizer, you can divide up your documents by category for easy access. The clear exterior with pockets makes it very visual, so you always know where items are. A small front pocket is a great spot to keep your receipts! Keep your credit card, passport and driver’s license separate to prevent theft of both, just in case. For more information on this product, visit www.smead.com. For reviewing this product, I was given one was a gift by Smead. I am honored to be a guest blogger on Organized To Revitalize! Our biggest question when it comes to memorabilia is whether it is valuable. I have faced this question myself and have found that there are a few extra steps that may make you feel more comfortable in finding the value of your keepsakes. It will definitely take extra time and extra steps, however here are some ideas to help you process this decision. Look online to find the item. My husband had a vase that he inherited from his mom that he knew was “valuable.” We found a duplicate for sale on ebay for $70. Once we knew a true value, then we made an educated decision on the next step. Check online for associations related to your memorabilia. When I sold my mom’s paperweight collection, I was able to connect with local paperweight associations. I made a list of the items and I listed it there. It took a while (two months) and found a buyer who appreciated this collection and would sell these to others who appreciate paperweights. Check online at ItsDeductibleOnline.com. This values items and is an easy way to track your charitable donations. Find experts who can help you make a good decision on value and find a purchaser. There are independent appraisers in many different fields, including art, to assist you. One connection for us led to the sale of a family painting. Memorabilia can be overwhelming and emotional. All of these items we were ready to part with, especially knowing that these are not items our children would treasure. Decide if YOU love the keepsakes, and are not only keeping them for other reasons. 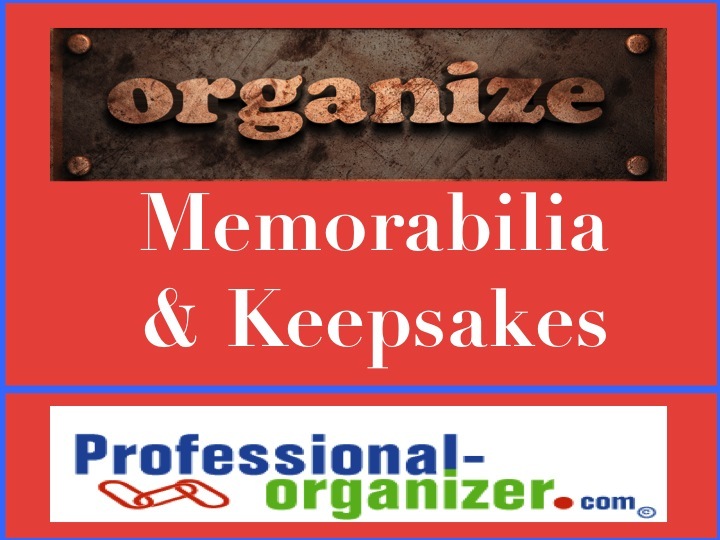 If you are truly organizing your memorabilia, be sure to choose a way to honor and display your items. Needless to say, that is not in a smushed box in the garage or attic! Today I have 5 paperweights from Mom’s collection in a hutch in my dining room. I treasure them! Learning that you or your child has a new diagnosis can be scary. 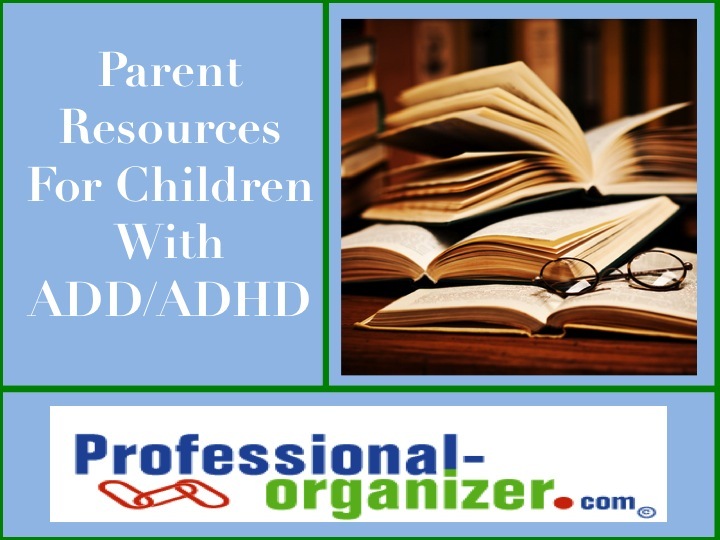 Getting some background and tools empower you and your child. Here is a short list of suggested resources for you to start your education. What are your best resources? Please share!